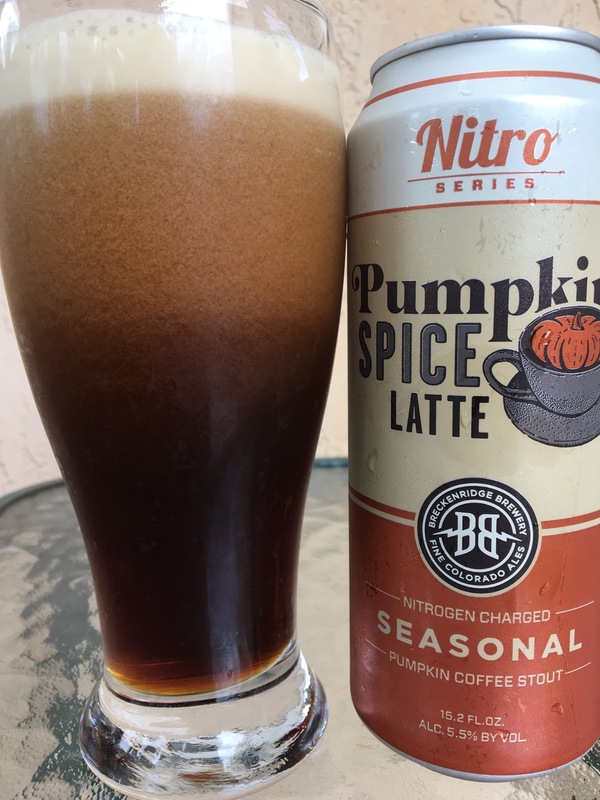 Breckenridge Brewery recently sent me their Pumpkin Spice Latte pounder cans. 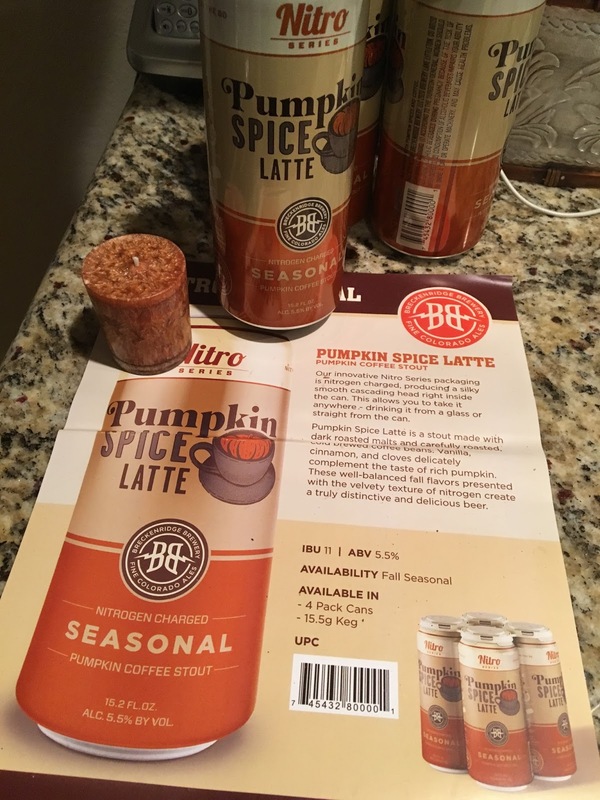 The 4-pack actually came with a candle that falsely lured me into the kitchen for pumpkin pies! This beer is nitrogen charged, so the beer volume is actually 15.2 oz to make way for that gidget. 5.5% alcohol. 11 IBU. This beer is a cross, pumpkin ale and sweet coffee stout, so let's see what's up! Nice chocolaty coffee aroma, lightly earthy, roasty. Super creamy. Spices very noticeable: cinnamon, allspice, hints of vanilla. Pumpkin tough to find, but like the aroma, there's a definite earthy component. Was a so-so beer over all. Gave away the other three in the 4-pack. Will report back alternate findings.